Olivet Business School (OBS) in Manhattan, New York hosted a two-day interactive seminar on Reverse Innovation for MBA students. The seminar encouraged them to come up with innovative business ideas and strategies for emerging or developing markets. They also learned how these strategies will be distributed or marketed in Western or developed markets. 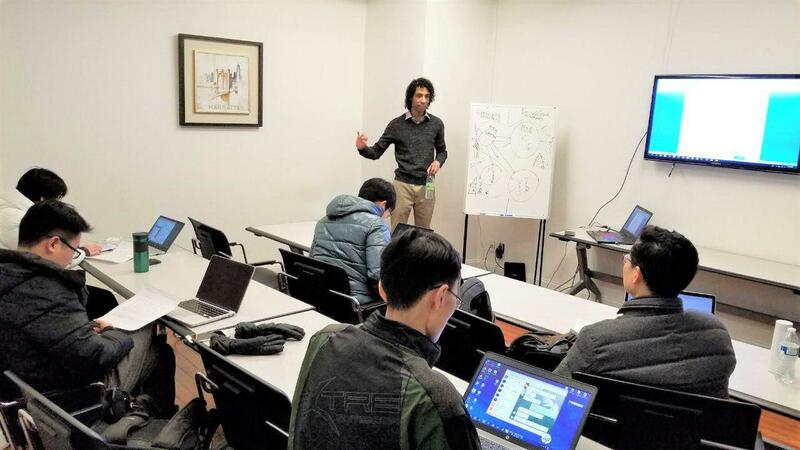 In the first installment of the seminar, international business graduate and speaker Sebastian Keita engaged MBA students in the latest trend in innovation. The discussion included a guided overview about the emerging, developed, and global market perspectives concerning Reverse Innovation. It offered the necessary basis for the presentation of deeper theoretical and practical components to better comprehend the new phenomenon and its consequences on multinational enterprises. A brief assessment was then made on the ways the new innovation might influence the local and international administrative power structures inside and outside those multinational corporations. This realignment is purported to be in accordance with their newer needs and the corresponding possible impact. "The first part of the seminar was structured in a manner to take full advantage of students' participation. The interactive seminar had the particularity of asking questions first, seeking answers later," Keita said. "I was surprised by the enthusiasm of the students who were actively engaged in this first part learning process." In the second installment of the seminar, a more scientific approach based on Keita’s thesis was used to investigate several specific case studies and their real world implications. "Thanks to the slowing growth of rich nations and rapid economic development in populous countries like China and India. The gap between rich nations and emerging economies is closing. As a result, the global dynamics of innovation are changing and in this era of globalization, Reverse Innovation is playing an important role," Program Director Dr. Hosea Zhang said. "Many companies are developing products in emerging countries and then distributing them globally. However, Reverse Innovation poses many challenges, because it is a tectonic shift in how companies think. It requires the company or organization to overcome the institutionalized thinking that influences its actions. The seminar focused on the importance of Reverse Innovation and the challenges and opportunities this strategy offers," Zhang added. OBS students were excited to have Keita as the speaker and gained valuable insight from the seminar.